If you would like me come to your Church to give a prophecy seminar you can contact me either by writing to my P.O Box or email me at fjdimora@gmail.com. Jesus has made it known to me now is the time to sprint to the finish line. I have gotten many emails from people telling me they have just found my prophecy site, so I am sure there are many who haven’t seen this news that deals with pestilence. We have seen China over run with rats and strange worms. Seemingly part of the special effects of a bad horror movie, an invasion of long, thorny, green worms with black stripes (ugh) in northwest China has forced the evacuation of some 50 herdsmen and their families from their grassland homes. The species of worm is unknown and samples of the 2-centimeter (1-inch) long critters have been sent to Xinjiang Agricultural University for further study. Recently we have been watching the plague of bed bugs that are making their way across America. These bugs were almost wiped out but as the labor pains get worse we are seeing more plague like this springing up. “Bronx Psychiatric Center is battling bedbug bedlam.” “Union workers at the state hospital filed a complaint with the state Department of Labor months ago, when the center tried to rid patients' beds and clothes of the parasites. Since then, wards at the 360-bed Morris Park facility have been evacuated and treated, but the bedbugs keep creeping back”. I can’t cite every nation and every plague because I just don’t have the time, but as you can see from the reports below the plagues are in many nations. If you think these plagues are getting bad now you will not like what you see during the 7 year tribulation, where these types of plagues will reach the max. I beg you to listen to what Jesus has warned! In case you don’t know where Madagascar is, it is a island off of Africa. 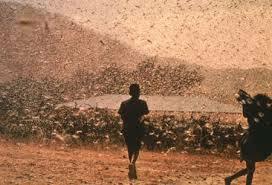 JOHANNESBURG, 9 September 2010 (IRIN) - The UN Food and Agriculture Organization (FAO) has warned of an "imminent and severe threat from the increasing number of swarms of Migratory Locusts" in Madagascar, requiring "immediate response assistance to prevent a humanitarian disaster". "There is a likelihood of extensive breeding ... Should that occur, Madagascar will experience one of the most severe locust outbreaks in recent years, and will need to launch large-scale control interventions through mid-2011," the FAO said. 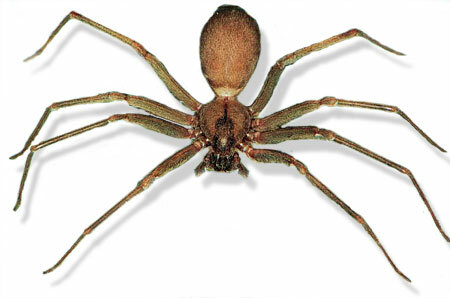 The warning was issued at an Emergency Assistance to Locust Control meeting on 8 September in the capital, Antananarivo, a few days after an Emergency Transboundary Outbreak Pest (ETOP) Situation Report for August with a Forecast till mid-October, was published by USAID. Dealing with the locust threat will cost about US$14.5 million; so far $4.7 million has been received from the UN Central Emergency Response Fund (CERF) and $490,000 from the FAO Technical Cooperation Emergency programme. Annie Monard, the Rome-based FAO locust officer who will be arriving in Madagascar in the next few days, told IRIN that the indicators were of "serious concern", as the locust population was "so high" that they had been able to "escape the traditional area" [in southwestern Madagascar] and swarms had been observed along the east coast and in the whole mid-west. 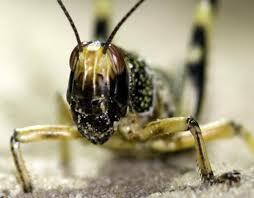 Here is news about Egypt’s locust plague. We are beginning to see some pretty strange things take place with plagues and here are a few examples. Go to link below to watch video. Now the stink bugs are swarming. Go to link below to watch the video. Prophecy Sign: Just a few days ago I posted news concerning the decline of America. By now most of you know how bad the US economy is and it is getting worse. In many of my previous posts I have give you proof that China is the main nation holding the US. One of the things I warned you about is what would happen if China pulled back from helping the US. Without China America would collapse in a heart beat and look at what the US is voting on concerning China. Could the Obama Administration be that crazy to go after the hand that feeds them? It appears so. Watch the video below, it has information you will want to know. Remember the civil unrest I pointed out in scripture found in Matthew 24:7? I can assure everyone living in the US that the riots they are seeing again in the European Union are headed to the US as the dollar dies off, and China is one of the key to making this happen. Prophecy Sign: 1 Thessalonians 5:3, “While people are saying, "Peace and safety," destruction will come on them suddenly, as labor pains on a pregnant woman, and they will not escape.” You may not know this but the peace talks are at a stand still again and this is a sign of the birth pains. These birth pains concerning the call for peace and safety have been getting worse and we are waiting for the second part of Paul’s warning which is the (sudden destruction) that will come while they are still calling for peace and safety. Read the latest on this and I will connect the dots. “The constantly changing sands in the Middle East have left Abbas roasting under diplomatic heat as he faces blame for “freezing” talks with Israel. He has frozen discussions with Israel while giving Prime Minister Binyamin Netanyahu five days to reinstate the building freeze on Jewish homes in Judea and Samaria. If Israel does not comply, Abbas said he will turn to the Arab League to consider the next step.”So what will be the next step? According to Psalm 83 war will come against Israel, and it will come from the very same nations who have warned Israel that if no peace plan is agreed on it will cause another war. If is possible that the Arab League who considers the next step will order that strike on Israel for not giving the PLO what they want, which is their own State with in Israel,East Jerusalem as their Capital, and stop building on what the PLO says is their land? Watch the news because war is coming just as the Psalm shows us. Prophecy Sign: Are you keeping the words of Jesus about the many earthquakes that will come in the last days in mind? See Matthew 24:7. How about the “great earthquakes” Jesus warned us about in Luke 21:11? Once again today we saw another massive quake. “The threat of a tsunami has passed following a powerful earthquake in the waters off eastern Indonesia. The U.S. Geological Survey said the 7.2 magnitude quake off Papua province was centered just 7.6 miles beneath the ocean floor.” Actually there were to big quakes today the first was a 6.6 as you can see from the list below. We need to pay attention to what happens now in Israel. Why? Because the starting up of new construction in Israel could set off the next war between the Arabs and Jews and finish off the peace process. When you read the report you will see that the world is coming against Israel over this issue and it is shades of Zech. 12:3. “True to his word, Israeli Prime Minister Benjamin Netanyahu has allowed the self-imposed Jewish building freeze in Judea and Samaria (the so-called “West Bank”) to lapse and for approved construction projects there to resume. Work began on Monday on at least 2,000 new housing units and a number of new schools in Jewish communities throughout the territories the Palestinians claim for their future state. Netanyahu had been under heavy pressure to extend the freeze, and has been doing his best to keep a low profile both for himself and for Israel since the freeze expired on Sunday. But that hasn’t stopped the world from moaning. According to government sources cited by The Jerusalem Post, Netanyahu was on the phone non-stop on Monday to listen to the complaints and expressions of disappointment from world leaders. “The United States is disappointed, but we remain focused on our long-term objective and will be talking to the parties about the implications of the Israeli decision,” said US State Department Spokesman P.J. Crowley. UN Secretary-General Ban Ki-moon issued a statement insisting that “settlement activity in the occupied Palestinian territory [sic], including East Jerusalem, is illegal under international law, and urges Israel to fulfill its…obligation to freeze settlement activity.” What we see in the news is actually what we were suppose to witness concerning the city of Jerusalem. Keep the faith because this is more proof our Lord is not far off! Prophecy Sign: Matthew 7:14-15 "Watch out for false prophets. They come to you in sheep's clothing, but inwardly they are ferocious wolves. By their fruit you will recognize them. Do people pick grapes from thornbushes, or figs from thistles? If you are new to the Word of God you may not understand what Matthew means by the praise “By their fruit you will recognize them”. It doesn’t have to do with anything concerning real fruit. What is being said here is, you will know if a person is real in Christ or not based on what the person actually does in his or her life. The actions in a persons life are the fruit Matthew points to. Keep in mind, this message was given to Matthew from Jesus Christ. All a person has to do is look at what a person is doing, his actions and you will know for sure if the persons fruit is bad or good. Let me give you prime examples of this type of fruit coming from President Obama’s actions. Is his fruit good or bad? Before the President was elected, and he was on the campaign trail he told everyone he was a Christian. Let’s face it, just about all US President’s who got elected said they were Christians. Most people running the campaigns for these men understood that is would be extremely difficult to get elected if they did not state they were Christian. In other words, tell the public you are a Christian just so you increase your chances of getting elected. Let us examine some things about Obama. “FOX news personality Glenn Beck said recently that Obama does not follow genuine Christianity, but instead, has views akin to Latin American liberation theology, a Catholic movement that is aligned with Marxism. In his program Beck played a clip where Pope Benedict strongly condemned liberation theology. He also played a tape reel with clips of Jeremiah Wright, Jim Wallis and Michael Pfleger, and a tape of Obama saying, “My individual salvation rests on our collective salvation,” the Christian Science Monitor said. I can assure you right now that there is no scripture in the entire Bible that teaches a person’s salvation is connected in any way to a collective salvation. The Word of God is very clear that a person is saved by grace through Jesus Christ and that each person on his own must be born again. Jesus taught this in John 3:3. Jesus Christ is the only one who knows the hearts and minds of men, so it is by a persons actions (his fruit) that will tell us if this man is a real follower of Jesus Christ. No real believer in Jesus Christ would ever come up with the idea to cover up Jesus, the system of Christ’s cross, or Jesus’ name, yet this is what Obama has done. Let me ask all of you who say you are the real deal for Jesus Christ,would any of you in a conversation with anyone do you think you would make a mistake and say your Moslem faith instead of your Christian faith? I have been a child of Jesus since 1976 and at no time since then did I ever make a mistake in saying I was anything but a Christian. Fact is, George made it a point to stop Obama and point out you mean your Christian faith. This is not the first time Obama made a slip like this. Jesus has a way of exposing the real truth! There has never been a President of the US who has ever stated to the world that the United States in not a Christian nation. Any real Child of Christ Jesus would never make sure a remark. What does the President have to be ashamed of? I quote the Lord, “If anyone is ashamed of me and my words in this adulterous and sinful generation, the Son of Man will be ashamed of him when he comes in his Father's glory with the holy angels” Mark 8:38). I would say that covering up Jesus, His cross, and His name is being ashamed of our savior. It would stand to reason that anyone who is pretending to be a Christian would in fact have no problems covering up our Lord, and telling the world we are not a Christian nation. How in the world after knowing what the Lord has said, could Obama curse Israel by working to divide up Israel into two States and to give East Jerusalem over to the PLO? There is no question that Obama is burdening himself over Jerusalem exactly what God said not to do or else. Not only is Obama not following the Word of God, but he is helping bring down America because the curse has fallen on her for doing these things. Anyone of you who is reading this post who can show me one scripture where any of the Christians in the Bible praised any other faith than that which were given to the Apostles, I would like you to quote me that scripture. You will not find it. I now refer you to the Word of God in defense of what I am saying. Read Galatians 1:5-9. “To whom be glory for ever and ever. Amen. I marvel that ye are so soon removed from him that called you into the grace of Christ unto another gospel: Which is not another; but there be some that trouble you, and would pervert the gospel of Christ. But though we, or an angel from heaven, preach any other gospel unto you than that which we have preached unto you, let him be accursed. As we said before, so say I now again, If any man preach any other gospel unto you than that ye have received, let him be accursed.” Put Genesis 12:3 and this warning together and you can see why I am questioning the type of fruit that Obama is carrying? When you watch the video below you will see him over and over again point to the Koran, this is another gospel that is forgien to the Bible, and thus we see the accursed again. What about the issue of abortion? No true Christian would press for abortions to be legal yet Obama is. Here is one example. “Washington, DC (LifeNews.com) -- With voters in Kenya heading to the polls on Wednesday to decide whether or not to support a new constitution that would also legalize abortion, members of Congress in the United States are speaking out against the Obama administration's spending $23 million supporting it. Growing evidence of U.S. taxpayer money spent on the controversial proposed Kenyan constitution vote, set for August 4th, drew sharp criticism from four Members of the House of Representatives this afternoon. Reps. Trent Franks of Arizona, Jeff Fortenberry of Nebraska, Joseph Pitts of Pennsylvania, and Chris Smith of New Jersey criticized the Obama Administration’s spending to influence the vote on the referendum through the U.S. Agency for International Development (USAID). USAID has reported spending at least $23 million to promote the proposed constitution. The lawmakers questioned the legality of the spending, since current U.S. law bars funding to either advocate either for or against abortion, and the proposed document dramatically changes existing Kenyan abortion laws. Not only is has Obama helped to push more abortions but he has also helped to push Muslim law which no real Christian in their right mind would ever do. “WASHINGTON, DC, August 6, 2010 (LifeSiteNews.com) - On Thursday, President Obama praised Kenya for approving a controversial new constitution that liberalizes abortion laws and that partially implements Muslim Sharia law within Kenya's borders.” On the other hand, if Obama did slip and tell the world “his Muslim faith” in the interview with George that would show us why he is pushing for Muslim Sharia law. Watch this video which gives you seven reasons why we believe Obama is not a real Christian. ABC which slants to the left said, “Americans falsely believe” Obama is a Muslim. Americans knew very little about Obama when he got elected and they now have had a chance to see first hand what he really stands for, (his fruits) if you will. Now that the people who know what the Bible says has had a chance to see Obama in action, they are confronted with this doubt that he is really a Christian based on what he has done since taking office. There is no doubt in my mind this is why the numbers of people who do not believe him are increasing. When you stand on the Word of God to examine a person’s life and examine his (works, actions, or these fruit that Paul addresses), it doesn’t appear Obama has good fruit! Only Jesus Christ knows for sure what is in Obama’s heart, but if he is a deceiver God help him for the Lord will be his judge! Let’s assume Obama doesn’t really know what the Bible says. Like millions of Christians around the world he may be one of these people who doesn’t know what the Bible teaches because he does not read it. He could be a Christian only by name. Here is a harsh fact. There is a very large population that doesn’t even know very much about their own faith. Here is an example of that. I quote,“A new survey of Americans' knowledge of religion found that atheists, agnostics, Jews and Mormons outperformed Protestants and Roman Catholics in answering questions about major religions, while many respondents could not correctly give the most basic tenets of their own faiths. Forty-five percent of Roman Catholics who participated in the study didn't know that, according to church teaching, the bread and wine used in Holy Communion is not just a symbol, but becomes the body and blood of Christ.” We have millions upon millions of people who go to Church and when they are out of Church you can’t tell the difference from those in the world and the Christians. Again, these are the fruits that the Apostle Paul pointed to. To read more about the questions asked in the survey click to the link below and read the entire report. Make no mistake, this is not the time to be a fake Christian, or for that matter, a luke warm Christian God forbid that you are one of the people who is part of this last days Church that Jesus warns us about in Rev. 3: 14-16. I ask you to repent of your ways and relight the fire for Jesus Christ. Because a real on fire Child of Jesus, and watch the power of our savior move in your life. Look, none of us are perfect, but Jesus knows your heart and His does forgive us. If you think you are one of these people of the Laodicean Church in these last days, you have time to turn from your ways and begin to carry the fruit that is good. As far as Obama is concerned, we need to pray for this man because he acts like he may not know much about the Bible. Since I did speak about the curse that has fallen on America as a result in part to messing with Israel, and Jerusalem let me show you my warnings about the economy getting worse are correct. “Economist John Hussman says the National Bureau of Economic Research will have to declare another recession soon. Commenting on a recent report from the Business Cycle Dating Committee of the National Bureau of Economic Research that said the recession that began in December 2007 is over, Hussman noted that, “the committee decided that any future downturn of the economy would be a new recession and not a continuation of the recession that began in December 2007." “The Committee took pains to make it clear that it was not forecasting the future or suggesting that economic progress has even been very good,” Hussman wrote in a recent note to investors. He said the bulk of the growth coming off of the June 2009 economic low “was driven by a burst of stimulus spending coupled with a variety of programs to pull economic activity forward.” He said that “to most Americans, it is not at all clear that the economy is in an expansion at all … a review of that data suggests that the NBER may have to deal with the prospect of a ‘future downturn of the economy’ much sooner than any of us would like.” This for all you new people, is a sign of America’s decline in power. This decline will as I have stated many times, help give rise to the last world empire Jesus warned us about. 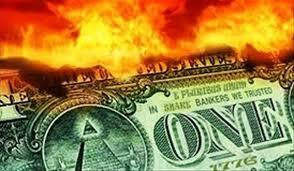 While the word is watching the economic crisis grow we are also witnessing a currency war. Why is this news important? Because we know that there is going to be a new world system put in place when America’s dollar fades out. These currency wars are just a tool to help bring about the new system. If your new to prophecy read Revelation 13:16-17, because it is here that we see the Antichrist is the one who will control the world’s new system. He will do this by forcing everyone to take his mark in your right hand or forehead, and without this mark forget about buying anything, or selling anything! “The world is in the grip of a currency "war", with leading nations using devaluation to solve economic problems, Brazilian Finance Minister Guido Mantega has warned in remarks reported from Sao Paulo. "We're in the midst of an international currency war, a general weakening of currency," he said in remarks reported by the Financial Times newspaper. "This threatens us because it takes away our competitiveness." Japan, South Korea and Taiwan have intervened recently to pull down the value of their currencies, the newspaper noted, and the dollar has fallen by about 25 percent so far this year against the Brazilian real. Such a fall increases the price of Brazilian exports on the US market. The remarks are set against a background of increasing tension notably between the United States and China over the value of the yuan. The United States has complained for years that China has held down artificially the value of its currency, preventing it from rising to reflect the strength of China's foreign exchange earnings from exporting, notably to the US market. This came to a head at the end of last week while the UN General Assembly meeting was being held when China's Premier Wen Jiabao told a business forum in New York that voiced fears of social unrest if Beijing bowed to US pressure. "If the (yuan) appreciates”. Do you all remember what started the US to really decline in power? It was the housing mess that blew up. Millions lost their homes, and millions has lost their jobs as a result and hundreds of thousands are still losing both their homes and jobs. This is one of the reasons why we can expect more of the same with the US economy. By the looks of things it looks like we are in for a repeat of two years ago. This will be a huge blow to an already sagging economy in the US, what affect the US has a major affect on the rest of the world. In this post I showed you they said a second recession is coming, but I am warning you to look for the depression. All these things are part of the birth pains that are bringing us closer to the Lord’s second coming. If you don’t believe what I am saying, just watch the economic news in the coming months. “For years I have been telling you the dollar is going to die out and when it does the world will fall into economic chaos. I keep posting information showing you what is coming and still many of you do not believe. That a look at this warning! 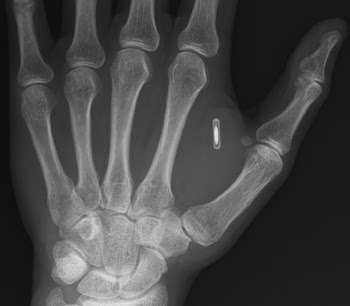 As the world is getting set up for this new economic system that the Antichrist will control most nations are in the process of giving national biometric ID to their citizens. This to is a step leading the world down the path to giving full control to the Antichrist. Take a look at what is happening in India. 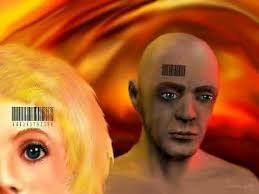 By the time it is all side and done a worldwide data base will be set in place and everyone who does not have the right ID will be excluded from the world economy. Take what Jesus says to heart in Rev. 13:16-17 because it is much closer than you think. Prophecy Sign: Jesus reveals our generation would be known as the drug generation and we are! We know this to be true from reading Revelation. The words “magic arts” in Revelation 9:21 is the Greek word pharmakia from which comes our word “pharmacy”. It signifies the use of medicine, drugs, spells, such as those used in witchcraft and those used today by those who are seeking a greater “high”. Christ also pointed out in Matthew 24:12 that because lawlessness shall abound, the love of many would wax cold. We can see both of these prophecies in one news report. In closing this post let me say that we are seeing everything Jesus warned we would see all at the same time, and this is a major deal to the real Christian. It is telling us to get about with the Lord’s work because we don’t have much time to spread the word of salvation through Jesus Christ. Spread the grace of our Lord now while His grace is still upon this planet. Once the Church is removed it is a whole different boy game for those who come to Christ after the Church is removed to heaven. If you choose to be left behind because you choose now not to expect the savior as your Lord you may want to read Revelation 20:4 where Jesus shows what to expect. I wanted to share with you what Jesus is doing with the work I have done for Him with the book, “The Last Chronicles of Planet Earth”. A few months ago Timothy Moore who is involved in helping spread the Word of God in Kenya via Pastors in Kenya asked me for a copy of my book. To make a long story short, I sent the book and he sent it to a Pastor who is trying to spread the Word in Kenya. Once that Pastor read the book it made such a impact on him that he wrote back to Timothy Moore and asked if he could get more books for more Pastors. Timothy wrote me back and asked me to send as many books as I could because they wanted to use my book in Kenya to teach the Churches and use it to lead people to Christ. Timothy has been a blessing not only to the Pastors in Kenya but to me as well as Jesus has connected us all together to get His Word out to people who are desiring to hear the Word of the Lord. Timothy was also a blessing to me as he had me mail him the books, he then would then take care of the international postage for sending the books overseas, which is very expensive. Timothy did this for me so I wouldn’t have to take money away that I am using to keep the book in print. As a result of that one book Timothy sent to the Pastor in Kenya, the work I have done for Jesus is spreading like wildfire with the help of the Pastors in Kenya and Timothy. Today I received a email from one of the Pastors who is teaching from my book. After you read this email you will understand why I wanted to share this with you. “Brother we are doing very Good, really for those who we do teach they are being blessed to some extend they say each time they read the book they being awaken and see how close is our Lord Jesus coming, beside that I have some challenges in the group that are in prison and brother Tim understands, he has been of great importance. At the beginning when God spoke to about the outreach to the prisoners I thought it was once maybe after six month but miraculously it happen to be regularly to the point God has opened the way in that we do go there twice a week and we have already begun a CIMS class there and we do depend on well wishers. I thank God for Brother Tim who helped us with the first Course that we finished last week. For now we are teaching your book, still waiting God for another course and these books we purchase from the college. As I have said the prison ministries was like to go there preach and issue some soaps, toilet papers , sandals and Bibles from friends from the churches. Tim has helped in that we have visited the prisons both women and men. As we were their last Friday teaching we so a need of asking brothers and sisters and friends to stand with us in prayers that God provide for us to get those things to take to them. The former director of the collage retired last year, we are waiting for a new one but there is one teacher I will talk to her tomorrow. Before that I had thought to talk with my district overseer requesting to accompany to Nairobi where the national Bishop is , and share with him about you and the book so that we invite you to teach during the yearly D.T.C meeting whereby all church of God minister meet at the college, it is held twice a year on the last week of the month Nov. to the first week of Dec. and on the last week on April to the first week of May each for 10 days. For now I have no funds to make any arrangements, because for now we are struggling for getting bus fare to the prison and other things, but all these can not hinder us moving forward teaching people they will get us a head. If maybe God speaks to you and provide before I have any means, please talk to Tim then he will give you my account number, on top of that we will continue teaching about The Last Chronicles for where we can reach. God bless you Your brother. All of you who have come to my site know I never asked anyone for any money for this ministry. I print up the books that cost me $11.00 a book to print one copy, and I mail them out for free. When the money dries up I have to wait for Jesus to act on my behalf, and then I print up more books and mail them out. This is one reason why I offer the book on line for free at my site. Those who have seen my live presentation know I never charge for the live prophecy seminars. All these things I rely on the Lord Jesus to speak to the hearts of people for me. As a result, my ministry has been a faith ministry as I have to trust in Christ for everything, and He has blessed me and has kept my ministry going, my reward is souls are being won for Christ. After you read this post if the Holy Spirit has spoken to you about helping these field Pastors in Kenya spread the news of Jesus Christ please email Timothy Moore. As you can see from the Pastors letter to me he has entrusted Timothy with his account. These men in Kenya are labors for Christ and are doing all that they know how to save as many as they can for our Lord Jesus. I am not asking you to help me, I am asking you to help these men in Kenya. My blessing has already come in that my books are now in Kenya in the hands of people who are hungry to learn more about Jesus, and His last day signs. Jesus has moved in a powerful way via that one book that Timothy sent to Pastor Titus. It is my prayer that it wouldn’t be just the book I wrote that would help bless these men in Kenya, but that Jesus would use me to help get them the funds they need to do the work of the Lord. Below is a email I received from Pastor Titus. I am a blessed Man. I am so happy to hear from you, When Tim told me that you had requested my email, I really waiting from you. surely what we are rereading from the book and teaching has a very big impact in my own life, I am a waken each and every time I read the book. So We invite you any time to visit us so that you teach us more about the coming of our lord Jesus.We are ready to welcome and join you make sure reach people especially western side of Kenya. Tim's family have been of great importance in our church and my family. So when you are ready at Gods time welcome to Kenya.I have like prepared the teaching in video or in CDs ? attached is my photo. God Bless you as you plan to come to Eldoret Kenya, let my greeting to your Family and the Church. we love you. Thank you all for allowing me to share this blessing with you, and I do pray you will help bless the men working in Kenya. I encourage you to email Pastor Titus so you can see for yourself the work they are doing in Kenya. P.S. I have just now begun to check the news for today’s post. “Customers will be able to use debit cards to buy gold in 1-, 5-, and 10-gram and 1-ounce bars. The machines will also sell South African Krugerrands, Australian Kangaroos, and the Canadian Maple Leaf gold coins. At about $1,300/ounce, a 1-gram bar will set you back about $46. All bars and coins come in a “precious gift box,” according to the company’s web site. A perfect little stocking stuffer.” When you read the next report you will learn what the experts are predicting for gold. Ever since I was touched by the Lord Jesus Christ I have done all that I can to give the message that was given to me by the Holy Spirit. I have kept in His Word and only have given you hard facts based on what Jesus and His prophets have warned us. All of these last day signs are already upon us and our time to witness is coming to a close for the Church. Satan hates the Lord’s Church any is working to stop the message of the Good News of salvation in Jesus. I know many of my Brothers and Sisters in the Lord have hurting hearts because family members or friends still do not know Jesus as the Lord and savior yet and they are watching America fall from God’s grace as the nation turns from Christ. One of our Christian Brothers or Sisters has posted a great message, and I wanted you to see this. Just click to the link below. Since I gave you news today about the decline of America you may want to watch the video. The Pastor gives you many facts that I have covered but it is good to see more news as it relates to Bible prophecy and current events. After you see this video you will understand why we all need to lift up the US in pray before it is to late. Movie out that deals with the Rapture of the Church. Below is a trailer to the movie. In the Blink of an Eye from Pure Flix on Vimeo. Prophecy Sign: It has been some time since I pointed out what God showed Daniel. Once again I want to reflect on the fact that Daniel did not mention America at all as one of the last world empires to rule at the time Jesus Christ returns to take His rightful place in Jerusalem as King of Kings. If you are new to my site, In my posts I call this the decline of America and, on numerous occasions have pointed to signs that show us America is fading as a world power only to make way for the prophecy to be fulfilled. In order for the Word of the Lord to come to pass we would have to witness the return of the Old Roman Empire just as described to us in chapters 2 and 7 of the book of Daniel. Anyone who has been walking in the Lord and reading His Word found in the Bible knows that the modern day revived Roman Empire is already here in nations that have once again joined as a unite or as a union. 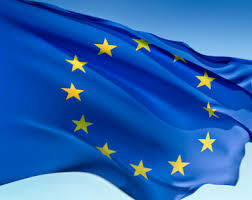 The one union that most people are familiar with is the European Union. I won't go into the details here how this EU has fulfilled scripture for time sake. If you are new to my site just download my book for free and read chapter 2. You will be blown away by what you read. Most of you who have been coming to my site know the US has been placed under God’s curse found in Genesis 12:3 as a result of working to divide up the land of Israel into two States, and for working to give back East Jerusalem to the PLO as one of the conditions of the peace talks. To those who know Bible prophecy this was expected as the Prophet Zechariah told us in Zech. 12:3 that all the nations would come against Jerusalem in the last days. If you haven’t read Zechariah’s prophecy you wouldn’t know what is going to happen, any nation that burdens themselves over God’s city Jerusalem. Anyone burdening themselves over this city will be cut into pieces! Could the unemployment figures be part of the way the United States is being cut into pieces as a result of burdening themselves over God’s Holy city of Jerusalem? I believe it is, and it doesn’t look like these figures are going to get better anytime sooner. America’s power is being cut down and this in part is happening to make way for the next world power that will take control of the world. This is the empire God showed Daniel in chapters 2 and 7 and the same one Jesus points to in Revelation chapter 17. Do you want to see if America will be blessed or cursed? Just keep your eyes on what America’s policy is over dividing up Israel and if she still works to give East Jerusalem over to the PLO. If these policies do not change count on America’s decline to continue! Prophecy Sign: Every time I hear news about the Middle East peace talks I perk up when I hear the European Union is going to get more involved in the talks. The reason why is because of what we read in Daniel chapter 9. In that chapter God tells the Prophet Daniel that there will be a covenant confirmed for a period of 7 years. We also know from that chapter that the man who confirms this covenant will come from the revived Roman Empire. This man is in fact the Antichrist. Since France is part of the Western leg of the revived Roman Empire the red flag is lifted up because they want to get more involved in the peace process. I quote, “PARIS (EJP)---French President Nicolas Sarkozy said Monday the European Union should to have a greater role in Israeli-Palestinian peace talks, adding that current US-led efforts were not working.” “Asked if his call for more talks in Paris complicated U.S. peace efforts, Sarkozy said nothing could be done without U.S. support but that was not enough in itself to secure a lasting solution to the Middle East conflict.” Most of you know I am watching the Western leg of the old Roman Empire as well as the Eastern leg because both these legs have returned in these last days. It is only a matter of time before you know which of these two legs the man of sin will shut up from to confirm the 7 year covenant which by the way will be the signal that the 7 year tribulation has begun. People stop and take pictures of the Citibank digital thermometer showing the unofficial current temperature at three o'clock in the afternoon on Monday in Los Angeles. In the area of California I live the normal temperature is between 70 and 76 most of the year but things are changing and now even this area is baking in the intense heat. Only two days have past since that past and again more news about this issue. It is as if they are setting things up for some type of sighting! I quote, “Is the United Nations set to appoint an obscure Malaysian astrophysicist to act as Earth's first contact for any aliens that may come visiting? Nonsense, said the U.N. Mazlan Othman, the head of the U.N.'s little-known Office for Outer Space Affairs (Unoosa), is set to describe her potential new role as chief alien ambassador next week at a scientific conference at the Royal Society's Kavli conference center in Buckinghamshire, England, reported London's Sunday Times. "Nonsense," responded the U.N. "The mandate of the Office for Outer Space Affairs is defined by the United Nations General Assembly and there are no plans to change the current mandate," Jamshid Gaziyev, a spokesman for the agency, told FoxNews.com. The Times article claimed that Othman would tell delegates that the recent discovery of hundreds of planets around other stars has made the detection of extraterrestrial life more likely than ever before -- and that means the U.N. must be ready to coordinate humanity's response to any "first contact." There was more news on this subject. "UFOs have monitored and possibly tampered with American nuclear weapons, according to a group of former Air Force officers who will make their claims public next week at a Washington, D.C., news conference. "While most of the incidents apparently involved mere surveillance, in a few cases, a significant number of nuclear missiles suddenly and simultaneously malfunctioned, just as USAF security policemen reported seeing disc-shaped craft hovering nearby," says Robert Hastings, author of "UFOs and Nukes: Extraordinary Encounters at Nuclear Weapons Sites." All I can say is try to remember what I warned you on the 25th of September because like today expect to hear more news about this. 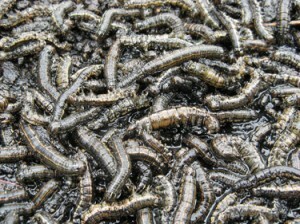 Back in April, 2010 Australia was hit with a plague of locusts. I want to show you one video report giving you this news. After the video, when you learn that they reported a worse plague could arrive in September, you will learn that in fact that is what is happening and this new plague is a new round of the birth pains. In my post dated Sept. 14, 2010 I gave you three things that could break down the peace process and force the Psalm 83 war to break out. One of the three things was the settlement construction issue going on in Israel on land the PLO considers their land. The news today again addresses this issue.” Here we are 13 days later and the settlement construction issue has caused much grief for many nations such as the US, France, the Arabs, and in fact the UN. All of these nations are fulfilling what the Prophet Zechariah said about burdening themselves with Jerusalem. What I know from the Word of God in Psalm 83 is that the boarding nations around Israel will come together and make a plan to attack Israel. We will have to wait and see but the meeting in Cairo could produce such a plan if they haven’t already done so. I do know we are coming closer to the Psalm 83 war. One of the Nations who is listed to attack Israel in the Psalm 83 war is the nation of Jordan and look at what Jordan has said about Israel. “Jordan has condemned Israel's defiance of international calls to freeze settlement activities. Addressing the Organization of Islamic Conference's (OIC) member states on Friday, Minister of Foreign Affairs Nasser Judeh said illegal Israeli settlements “deepen distrust between parties involved in the conflict and are a real obstacle to efforts to launch peace talks.” He made the remarks at the coordination meeting of the OIC foreign ministers held on the sidelines of the UN General Assembly. The foreign minister said halting settlement activities is necessary to create “a positive atmosphere that leads to serious negotiations on all tracks”. Another one of the peoples listed in the Psalm 83 war coming against Israel is the Hamas. Exiled Hamas chief Khaled Meshaal on Monday called on Palestinian President Mahmoud Abbas to quit peace talks with Israel after construction of Jewish settlements resumed in the occupied West Bank. "I call on my brothers at the Palestinian Authority, who had stated they would not pursue talks with the enemy [Israel] if it continued settlement construction, to hold to their promise," Meshaal said at a meeting in his base in exile in the Syrian capital Damascus. Settlement building resumed across the West Bank on Monday just hours after the expiry of a partial 10-month freeze, but the Palestinian leadership held back on a threat to quit the talks over the move. It is clear to me that the peace talks will end up failing only this time that failure to reach an agreement will cause the Arabs to attack Israel and fulfill the Psalm 83 war, look for this to happen while they are still calling for Peace and safety. As the birth pains increase the issue of ownership of this Holy City is going to get more attention in the news. All these things were told to us in advance so that when we saw them we would know the Lord was telling the truth about the future. If you are a reporter get ready because you will be reporting on another Middle East war soon and it will be over this city. It is my prayer that people reading this news will scare it with as many people as they can. Do not be concerned wheather they believe you or not, or if they laugh at you. Just point out what the Lord has shown us concerning the Psalm 83 war. I am telling you this because we keep seeing news that shows us this war is not far off. The day is coming when this war will be covered on just about every news station in the world, and when it hits the people your shared this prophecy with will remember what you said. In this way you may have been the one who watered the seed to someone's salvation in Christ. Have faith and remember the promise of the Lord in Isaiah 55:11, “So shall my word be that goeth forth out of my mouth: it shall not return unto me void, but it shall accomplish that which I please, and it shall prosper [in the thing] whereto I sent it.” “I have planted, Apollos watered; but God gave the increase” (1 Corinthians 3:6). 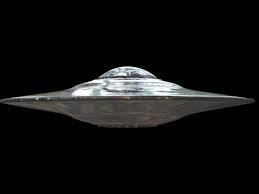 I don’t know for sure but it is a good possibility that the powerful delusion may be coming in the form of UFO’s. Think about this for a moment. What if after the world sees these strange UFO’s that the rapture of the Church takes place. The Antichrist could come out and say all the evil people were taken off the planet when in fact it was the Lord’s righteous that we taken form the Earth. There is no doubt in my mind that the “counterfeit miracles, signs and wonders” Jesus warned about could come as a result of these UFO’s. Now for some current news that is warning us a massive UFO display is coming on Oct. 13, 2010. “A newly-published 352-page book by a retired Air Force officer, Stanley A. Fulham, tentatively predicts October 13, 2010 as the date for a massive UFO display over the world’s principal cities. According to the author, the aliens will neither land nor communicate on that date; they are aware from eons of experience with other planets in similar conditions their sudden intervention would cause fear and panic. A very important part of the report tells us the author is a “renowned channeler” Channelers are part of the New Age Movement, and it has nothing to do with the truth, the Bible, or with Jesus Christ. The people who claim to be communicating with the dead or people from other worlds are under the influence of Satan and his deceptions. I am concerned that many who claim to know Jesus Christ will fall for this delusion because they did not know the Word of God and they did not keep on the watch, nor were they looking for Jesus blessed appearing. I will say this again. Watch the news because you will hear more news about UFO’s and because we are in the birth pains these signs will get closer and closer together. Be on your guard, dress today with the Lord’s armour so you will not be hit by Satan's tricks or delusions. Now for for a lighter message from the field. Today I went fishing with my Son Adam. Those who know me the best know I look for ever opportunity to lead the unsaved to Jesus Christ. As soon as I walked on the pear I heard the music one of the fishers had playing on the radio. It sounded like Christian music so I asked them are you Christians? They relyed no why do you ask? I told them because I thought the music you were listening to was from a Christian radio station. One of the two people I was speaking to said I hate that type of music. I then asked them if they had caught any fish. One of the people showed me one fish they had caught and they were there fishing for a long time. I then moved down from them a short distance and told them I will ask Jesus to send me the fish. I pointed to the spot in the water which the Lord would send me the fish and I told the people next to me that is where the fish are. They laughed, and they looked at me as if I was crazy, but I tossed my line in the water and said a pray asking Jesus to send me the fish. By the way this is not a fish story it is the truth. Standing next to me was another young man in his twenties. After about 15 minutes I caught my fish good size fish. They looked at me as I said thank you Jesus. I told the people to my left that there were more fish coming. I tossed my line back in the water and again about 10 minutes later I got another fish, and the people walked over to me to get a look at the fish. I made it known that I was blessed. I tossed my line in again and again I caught another good size fish now the people are looking at me but were no longer laughing. About this time the young man standing to my right said “man you are on fire”. I told him I was blessed and had prayed to Jesus to send me the fish. My Son Adam was now laughing because I was he and I were the only ones catching fish. After about my 8th fish I had a chance to talk with the young man to my right. We talked about fishing a little but before I left the dock I had a chance to tell him about my work for Christ and gave him my card which would bring him to my site so he could download my prophecy book for free. After I gave him my card I caught one more fish. By this time the people on the dock were probably wondering what happened. The young man said you were caught more fish then all of us today. I told him I was probably the only one on the dock who prayer to Jesus to send me the fish. He took my card and I pray that what he saw today on the dock would encourage him to seek Jesus even when he is fishing, and I pray he will read the book and be lead to Christ for his salvation! I praise Jesus for this day and the opportunity to be able to witness for him in the field.My Son Adam is a eye witnesses to these events. What I have told you is the truth and I want you all to know that if you really seek Jesus in all things, He will answer your prayers. From the start Jesus knew I was walking on that dock not to fish for the fish but for men. I was blessed today by my Lord because I believed Jesus would help me point to Christ and that is exactly what happened. Since 1977 I have been warning people of the steps being taken which are leading us down the path to a One World Government. 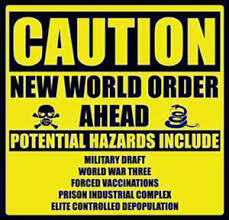 If you are new to prophecy you need to know that Jesus has shown us the Antichrist will control this New World Order. The Apostle Paul warns us that the Antichrist will in fact go before the world and tell the world that he is God and that everyone has to worship him as God, or as Jesus said in the scriptures above you will not be able to “buy or sell” anything unless you take the Antichrist’s mark. Follow me on this. The tribulation is going to be for a period of seven years. Concerning the Antichrist we are told in II Thessalonians 2:4 the following: “Who opposeth and exalteth himself above all that is called God, or that is worshipped; so that he as God sitteth in the temple of God, shewing himself that he is God.” We know from the Prophet Daniel that this event Paul warns us about in II Thessalonians will take place exactly 3 1/2 years into the 7 year tribulation. It will be at that time that this Antichrist will make his move to kill anyone who does not go along with his new One World World economic system and his control of everything which no doubt will include controlling the worldwide Net. Think about this for a moment. If you want to stop the spreading of Jesus Christ as savior of the world what better way to try and slow it down by knocking anyone off the Internet that is preaching Jesus Christ? What about sites like mine where we warn people what is to come in the future based on the prophecies of the Old and New Testaments? Governments around the world who are not Christian based nations are already trying to cut this type of information off the Internet. I believe the actions that the President Obama is now taking is leading you down the road that will end up allowing the scenario to take place. One of the latest moves in forming this One World Government is Obama giving away control of the Internet to some international body which the report below will explain. I will finish connecting the dots for you after you read the report. As I said, there is no doubt that anyone who says anything about Jesus Christ being the true Messiah of the world will be censored by the Antichrist, and this includes the worldwide web! China gives us a great example of censorship of the Net. One of the reasons why they are censoring the Internet is the government doesn’t want China’s citizens to read the good news about Jesus Christ. What do you think is going to happen when the global Internet is put in the hands of people who oppose Christianity? I am sure once Obama hands over the control of the Net to a foreign body that you will see even more attacks on Christian sites. 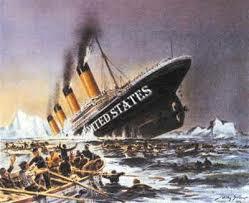 By Obama giving away this control all he is doing is making America even weaker than it is now. Let me show you what you should expect if you do not receive Jesus as your Lord now and you miss the rapture of the Church. First of all without Jesus’ blood covering you for your sins you will be left behind to face the Antichrist and live in the 7 year tribulation. If you are left behind I want you to picture the following. One day you get up to check the internet and you find that every site that you were reading anything about Jesus Christ has become a blank screen. 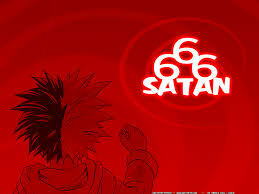 How knows, maybe there will be a message on the screen which says the real God is the Antichrist. Of course the message won’t say Antichrist, but instead give his name. The day is approaching fast where the Antichrist will have all the power to control the entire world and the Net may play a huge role in helping him control it. When will these things happen? Take a look at the world’s economic crisis. It is getting worse and when America’s dollar dies the entire world is going to reel from her collapse, which will help bring on the new worldwide economic system that the Antichrist will take control of. Take a close look and you will see that it isn’t just the US that is in a major economic crisis but the European Union is also fighting against the same type of debt as the US. Things are getting worse and the news report below will give you an example of this. When you see the superpower nations currency ready to collapse you know that the new system that the Antichrist will control isn’t far behind! Keep in mind in part of Matthew 24:7 Jesus warned about kingdom coming against kingdom. This of course is the social unrest which I believe we are just now seeing the birth pains of. As the world’s economic crisis gets worse you will see more social unrest than ever before and the 1 million protesters we just saw in France will be nothing compare to what is coming. I ask you know what is stopping you at this very minute from receiving Jesus as your Lord? Whatever it is, it is coming from Satan. Today is the day of salvation! Why take the chance of missing the rapture of the Church and being cast into the 7 year tribulation when out of Jesus’ love for you, you can be saved in His arms right now. There has to be a day where you are born again in Christ Jesus, why not this very minute? Please watch my video at the end of this post and allow me the blessing to lead you to the feet of your savior Jesus Christ the Son of God and the only true God and Savior. Prophecy Sign: In Luke 21:25 Jesus told you to watch for the roaring of the seas and waves. Take a look at what has happened just this year with all the huge storms that have displaced millions upon millions of people around the world. “Almost half of the population in Nigeria's central-northern Jigawa state has been displaced after authorities had to open floodgates on two swollen rivers. "We have about two million people affected," in a state which has 4.3 million people, Umar Kyari, the spokesman of Jigawa state, said on Friday. He said the flooding was caused after authorities opened floodgates of the Challawa and Tiga dams in neighbouring Kano state to avoid overflowing following heavy rains.” Need I remind you what just happened to Pakistan? Remember this headline? “One-fifth of Pakistan under water as flooding disaster continues” Jesus told you that we would see complex problems in the last days. Read this scripture again. “And there shall be signs in the sun, and in the moon, and in the stars; and upon the earth distress of nations, with perplexity; the sea and the waves roaring;” In 2010 the many nations are now facing this distress, and the complex problems that the huge storms have brought on. Millions are facing lack of food, they have no place to live, and this is coming at the worse possible time as nations are running out of money to provide for these millions of people. People are dying form lack of food and disease that have followed the flooding and these are also signs Jesus told us to watch for. I say it again. What is holding you back from receiving Jesus as your savior right now? Let it go and come to Him, let Him give you eternal life and Let Him give you the strength in these troubled times. Jesus is coming for us and I pray you are one of His Children when He comes. It would be my blessing to lead you to Christ. See video below. Prophecy Sign: In many of my warnings I quote from Revelation chapter 18 where we see people will be weeping over their loss of gold and silver. I keep warning you to listen to Jesus on this because these metals are going to skyrocket which they are. Watch the video because they are talking about even higher prices in these metals. I can agree with them because I know what is coming during the tribulation period and if Jesus warns you about these metals and people crying over their loss, it can only mean that the prices were so high that they are crying when it is taken away. Keep watching the markets because these prices are going to climb like never before. On March 25, 2010 I gave you information as to what King Abdullah from Jordan had to say about Israel giving East Jerusalem back to the PLO. These statements are important as they are leading up to the war which we are warned about in Psalm 83. Below is a warning I issued on March 25th. War is coming just as the Lord warned and the nations listed in that Psalm are the same nations telling everyone war is coming soon if a peace agreement isn’t laid down and if Israel doesn’t stop building on land the PLO considers their land. Be is a statement that not only shows you that the call for Peace and safety is in fact being heard every week now, but also shows you that once again they are telling us war will break out between Israel and the Arabs by the new of 2010. If you are new to my site you need to know that the Apostle Paul under the direction of Christ warned that we would hear that call for Peace and safety and that would be the time sudden destruction would come, see 1 Thessalons. 5:3. Will that sudden destruction take place by the end of 2010 and lead to the fulfillment of the Psalm 83 war, the destruction of Syria and their Capital Damascus and cause the set up for the Ezekiel war that will follow the Psalm war? I would say by the signs of the times there is a good chance this may happen, but we will have to keep on the watch and see. 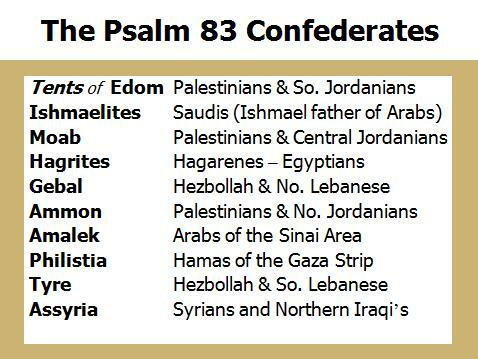 If you are new to my site you will need to know exactly what nations will be involved in the Psalm 83 war against Israel. Those nation and where they come from are listed below for you. Keep in mind, this sudden destruction is to come when they are calling for Peace and Safety. Just to prove to you that Christ's’ warning concerning this prophecy is taking place take a look at the video below and watch how many world leaders are saying the exact statement in which Jesus told us we would hear. This is no coincidence but a warning from Christ Jesus to come to Him for salvation before the Church is removed to safety in the arms of our Lord. Prophecy Sign: Revelation 6:6 “Then I heard what sounded like a voice among the four living creatures, saying, "A quart of wheat for a day's wages, and three quarts of barley for a day's wages, and do not damage the oil and the wine!" We know from this warning that the price of food will be so high during the tribulation period that a person will have to work all day long just to buy a very small amount of wheat or barley. The prices are going up and up and they like the other signs of the last days are the birth pain signs. There are many reasons why the prices are climbing and some of the reasons are explained in the report below. If Jesus has spoken to your heart, after reading this information, please receive His call to you. Ask Christ into your heart by saying the sinners pray. No one can enter Heaven without giving his or her life to Christ. Jesus said you must be born again. 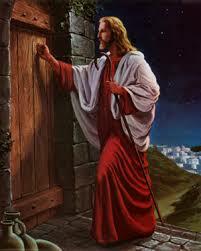 Jesus is waiting for you, please do not let Him or yourself down. "Heavenly Father, have mercy on me, a sinner. I believe in you and that your Word is true. I believe that Jesus Christ is the Son of the living God and that he died on the cross so that I may now have forgiveness for my sins and have eternal life in Christ Jesus. I know that without you in my heart my life is meaningless and I am without hope. I believe in my heart that you, Lord God, raised Him from the dead. Please, Jesus, forgive me, for every sin I have ever committed or done in my heart. Please, Lord Jesus, forgive me and come into my heart as my personal Lord and Savior today. I need you to be my Father and my friend. I give you my life and ask you to take full control from this moment on; I pray this in the name of Jesus Christ." I thank you for adding my name into your Book of Life. In the name of Jesus Christ, I pray. Amen. Many of you are in Churchs which the pastor doesn't keep your Church informed as to what is happening in prophecy. If a pastor reads the entire Bible he has to know that Jesus stated over and over again to keep on the watch! It is part of a pastors job as head of the Lord's flock to keep watch and let the people know just how close we are to Jesus' second coming. Being part of the Calvary Chapel Church I can post Pastor Farag's video, because not only do I know his teaching is the same as mine, but I know it is sound doctrine based on the Word of God. Pastor Farag does the same thing I do in keeping his Church informed on Bible prophecy and current events only he does it on Sunday's while the entire Church is together. Since I am forced to take time off to battle with the devil, I wanted to post Pastor Farag's recent up-date. He is a man of God and I know you will be greatful to him for posting his update. I thank the Lord I can use his work to help get the word out. For those of you who have been with me for any length of time you will think it is Frank teaching in a different body, that's how close Pastor Farag and I are in our prophecy updates. For those who have been waiting for me to return, I will be posting in full force by Tuesday. I miss you all. Prophecy Sign: In Matthew 24:7 we see Jesus warn us about famines that will come in the last days. When you read Rev. 7:16 you will see that droughts have caused many hardships. What causes droughts? 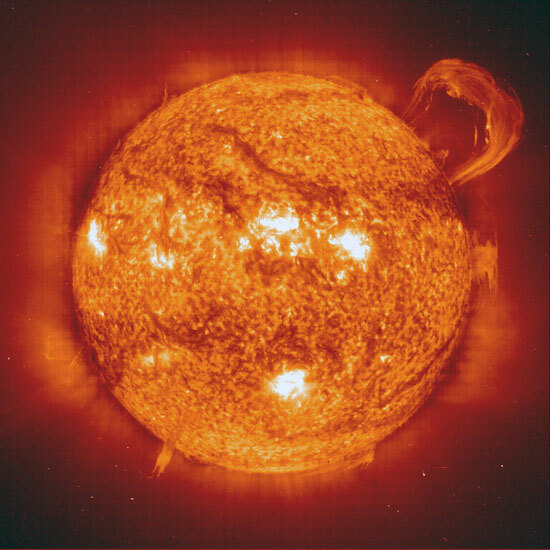 For one thing, the Sun's intense heat! Read what Jesus said, "They shall hunger no more, neither thirst any more; neither shall the sun light on them, nor any heat." When you read the report below you will see Syria is fighting the same things that Jesus points to. "DAMASCUS, Syria, Sept. 10 (UPI) -- Lingering drought in parts of Syria is having an impact on food security and leaving millions of people in a state of extreme poverty, the United Nations said. Syria has suffered from drought for four consecutive years. Selly Muzammil, a representative from the World Food Program, told the U.N. humanitarian news agency IRIN that the "situation is really bad. "The Food and Agriculture Organization in June said the drought in Syria had ended but blamed sporadic rainfall on crop failures. Other U.N. agencies were divided over the status of the drought." The President of the US is not only trying to divide Israel into a two State nation and give away East Jerusalem to the PLO which has caused the US to fall under God's curse in Gen. 12:3 but, Obama shows us some things about his belief as he leaves out something very important in his recent speech as you will see when you watch the video below. Prophecy Sign: Matthew 24:7 and Luke 21:11 is the sign of many earthquakes and "great earthquakes" While away I haven't been able to keep you up-dated on earthquakes. Here is a list of the ones this past week. Also, keep in mind the big ones are going to hit again soon as this sign is part of the birth pains and therefore we know the quakes will get much stronger as well. Speaking about the warning of birth pains read this news with the headlines as follows: "Next Israel-Hezbollah war will be worse, says U.S. analyst" Research published by Washington Institute for Near East Policy says future Israel-Hezbollah war would likely draw in Iran and cover much of Lebanon, Israel and probably Syria." I and Pastor Farag have warned you about the Psalm 83 war and we both agree that Syria will be taken out before the Ezekiel war. I for one think it will be during the Psalm 83 war that Syria will be left in ruins. In any case this war is coming faster than most people think. I hope to be back in full swing again on Tuesday. Thank you all for praying for us as we do see Jesus working via those prayers. Prophecy Sign: In Daniel 12:4 the Lord told Daniel our generation would be known for their increase in knowledge. This videoes will provide you with some facts that show you how fast this generation has gained in knowledge just as the Lord had warned. The first one was made in 2008 and the second in 2009. Prophecy Sign: This generation has gained more knowledge than any generation in the history of man! Not only has God fuliflled Daniel 12:4 but our increased in knowledge is also bringing on another major prophecy found in Revelation 13:16-17. This is the prophecy in which Jesus shows us one man (the Antichrist), will control the world's economy. This evil man will try to force his mark on everyone on this planet. Without this mark you will not be able to buy or sell anything! Steps have been taken which are moving toward this cashless society in which at the end of the day the Antichrist will control. In my book I show you the steps taking us to this new cashless society. The report you will read below is another one of the signs showing us this cashless society in making progress." The move toward a cashless society is accelerating in Sweden as plastic payments become the norm and various government officials, unions, and high-profile Swedes push for a ban on cash, supposedly to reduce robberies. But opposition to the proposal is mounting as well. Swedish buses have already stopped accepting cash after a series of robberies. Commuters must now pay at a separate store before getting on the bus, or use a cell phone. The next targets for the anti-cash movement are banks and retailers. When asked about a retail cash ban, Swedish Work Environment Authority (Arbetsmiljverket) boss Mikael Sjberg refused to rule out the possibility. "It just depends on how risky the situation is. We have very extensive possibilities to explore," he told a Swedish labor union publication cited by TheLocal.se, an English news service in Sweden. "It is not acceptable that people go to work in fear and concerned that they could be subject to a robbery,” said Sjberg. A spokesman for the Work Environment Authority, Bernt Nilsson, acknowledged that it would take at least several more years to prepare the transition. But progress is being made. Numerous Swedish officials have also been busy demonizing cash, attempting to link it with criminality, the black market, the “shadow” economy, and thieves. And so, pressure is building to do something about it. Unions are also helping to lead the charge toward a cashless Sweden. "If we can reduce the amount of cash in the banks and in society in general, robberies will also be reduced," Marie Look with the Swedish bank workers' union told the BBCfor a recent article." Since the US will be that major role look at what is happening, which the videos. For years I have been following the news to relay to you events that prove Jesus' words concerning the New World Order that is coming. Nations have been pushing for this new system and here is an example of this. Watch the video. Prophecy Sign: It has been some time since I gave you news pointing to the next Middle East war. I have issued countless warnings from God's word show you the next conflict could bring on the war found in Psalm 83. Iran just may be the spark that kicks off the next war. A report out this week with the headlines, "Israel: No choice but to attack Iran "paints a pretty clear picture what Israel is going to have to do if none of the UN nations get Iran to halt their quest for the nuclear bomb that Iran's President has said he would use against Israel. I quote, "Israeli officials are becoming increasingly frustrated by the international community’s foot-dragging regarding Iran’s defiant nuclear program. Sanctions are having almost no impact, and there is no credible threat of force. For most Israelis, it seems the world has accepted a nuclear-armed Iran as a foregone conclusion. Speaking at a counter-terrorism conference at the Interdisciplinary Center in Herzliya on Sunday, former Mossad chief Danny Yatom said that if NATO or some other coalition of air forces would attack even just some of Iran’s nuclear facilities, it could buy plenty of time to ultimately prevent the Islamic Republic from obtaining atomic weapons. “If the modern air forces led by the United States mobilize their capabilities it is possible, if not to completely remove the threat, at least to delay it for years to come,” said Yatom. But Europe and the Obama Administration have signaled they have absolutely no intention of using force to stop Iran, and so Israel must retain the right to self-defense. “Figure out for yourselves what that means,” Yatom told his audience." Sorry I have to be away from posting. I will begin posting again on Monday. Please pray for my Son Adam as the Lord's enemy is really doing a number on my Son. It has taken a toll on my Son and on both of our ministries.